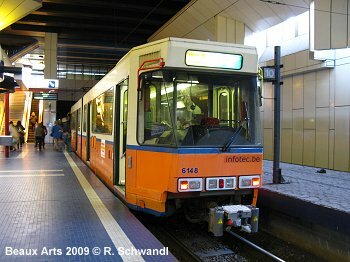 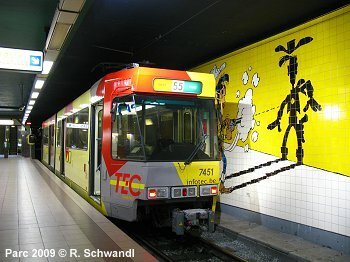 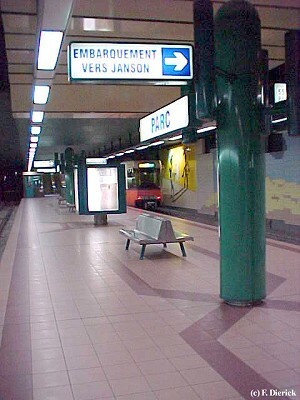 The Charleroi Metro is a typical prémétro network, i.e. 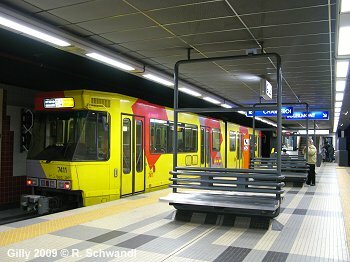 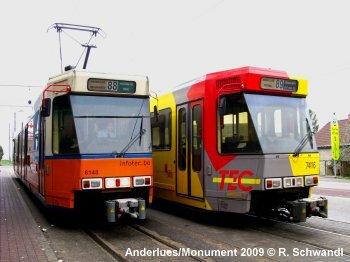 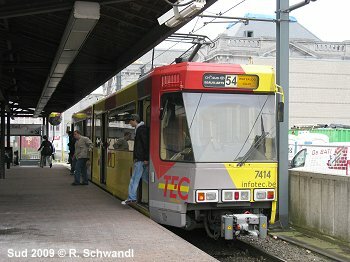 trams that run underground in the city centre and on viaducts or separate right-of-way through outer parts (similar to German Stadtbahn systems). 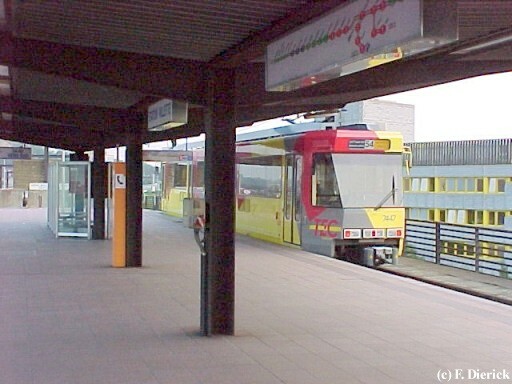 In the 1970's a large network (52 km with 69 stations) was planned to be finished by the mid-1990's. 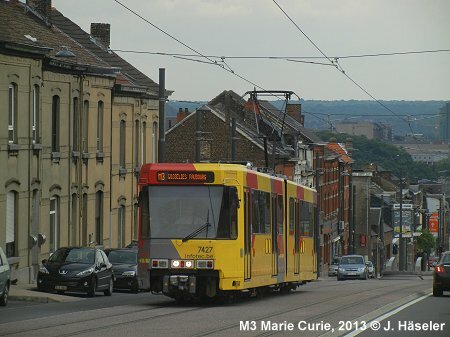 Starting from a loop around the city centre, 8 branches were to cover the entire metropolitan area of Charleroi. 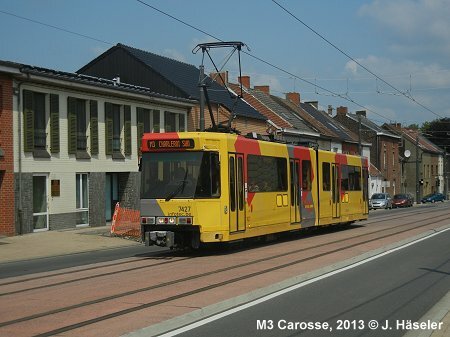 But due to unknown problems, construction was suspended leaving a rather unfinished network, although in 2012, the city centre circle was completed and in 2013, a tram-like leg to Gosselies was added. 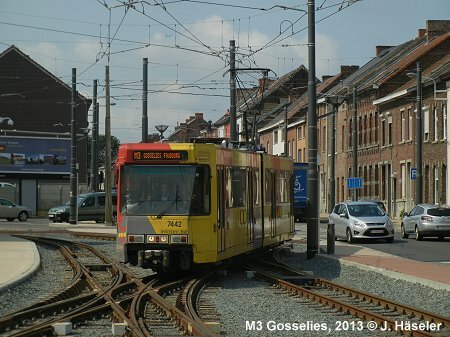 After the completion of the tram-like Gosselies branch (7.2 km), the total length of the network is approx. 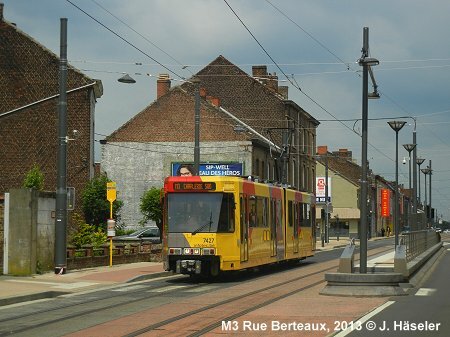 35 km. 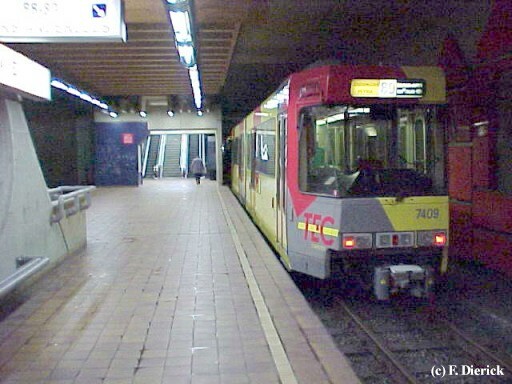 There are 22 full metro stations, of which 12 are underground. 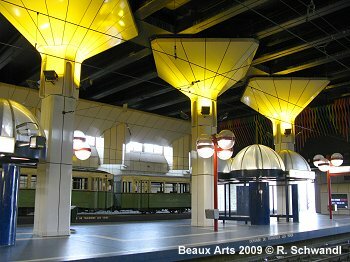 There are underground loops at Beaux Arts and Waterloo, the latter being used by outbound line M4 trains during normal service. 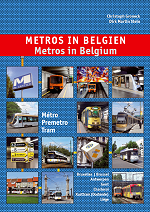 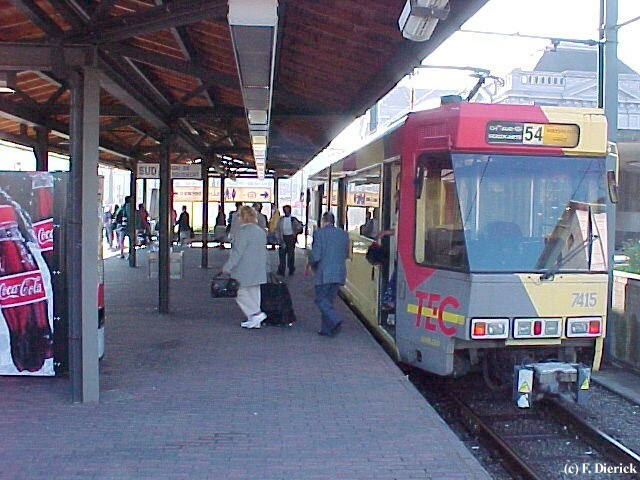 The 'métro léger' (light metro) is operated by TEC, a company responsible for all public transport in Wallonie, the French-speaking part of Belgium. 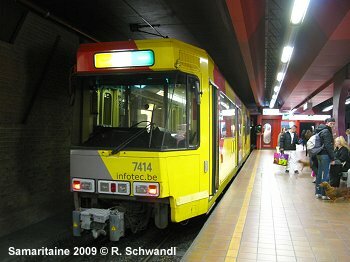 - The unexploited lines to Chatelineau (Centenaire station) will remain closed.